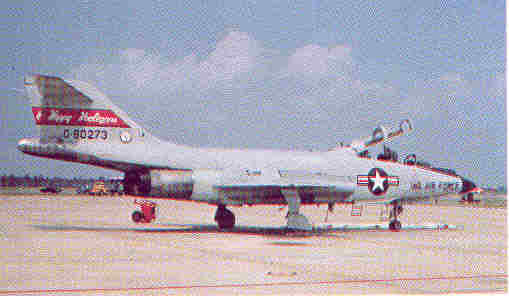 The aircraft was on a cross-country navigation training flight out of Hector Field ND, to Wurtsmith AFB Michigan, and Bangor International Airport (former Dow AFB). The crew arrived in the Bangor vicinity with about 30 minutes of fuel and missed two instrument approaches in bad weather. Lacking fuel for a third attempt, they were vectored out over the wilderness east of the airport to bail out. 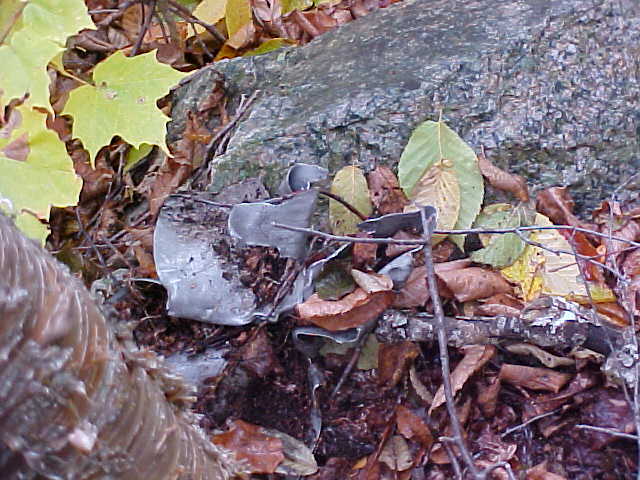 Both the Pilot, Captain Richard Arman, and WSO, Major George Brett ejected successfully and were rescued the next morning by Forest Rangers. The aircraft plowed into a mountainside about two miles from where they landed. See the USAF Report summary HERE. 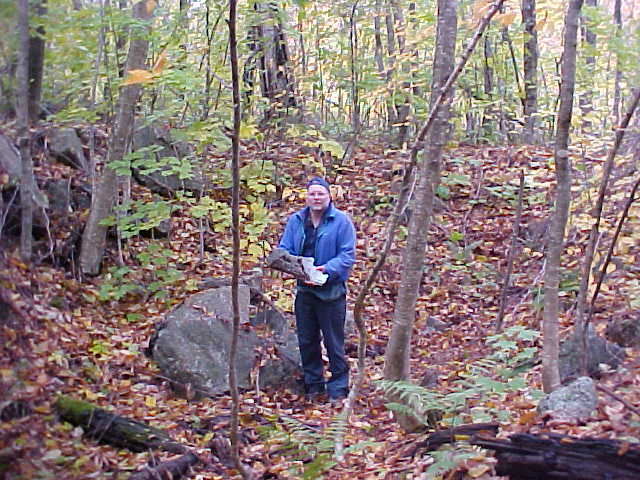 Mike Cornett in the impact crater, holding a piece of fuselage skin. The plane, out of fuel, nosed in nearly straight down and broke up "blowing" pieces of granite for hundreds of feet. The rocks along the crater wall, in the left of the photo, acted like a blast fence and channeled the wreckage pattern. 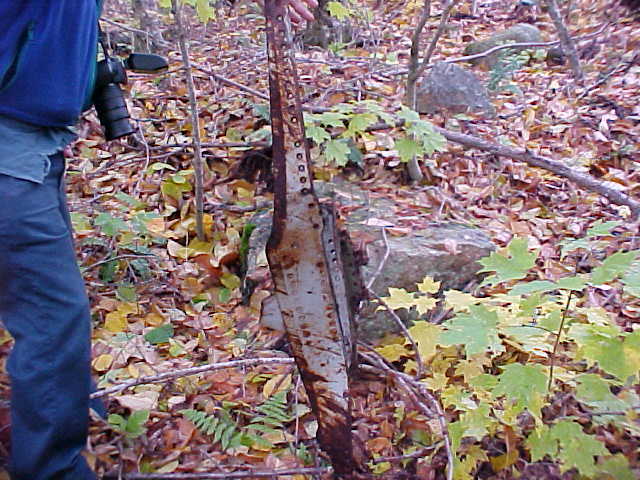 This piece of fuselage skin, in the crater, was turned inside out by the force of the impact. Note the "Air Defense Command Grey" paint and lack of fire damage. A twisted piece of skin, among the rocks a few hundred feet from the point of impact. 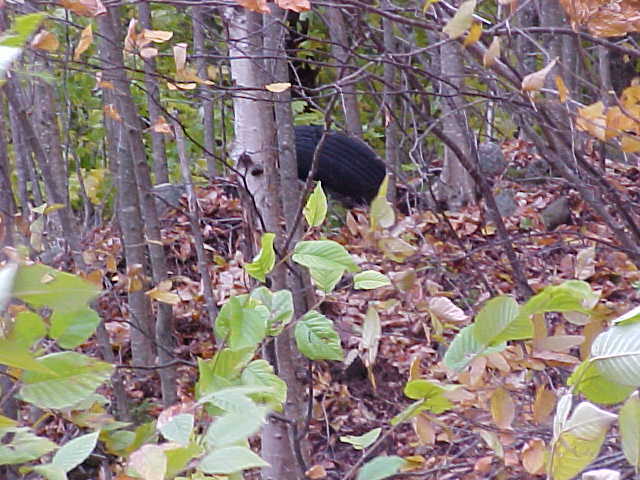 This site, near a major logging road, was extensively cleaned up. 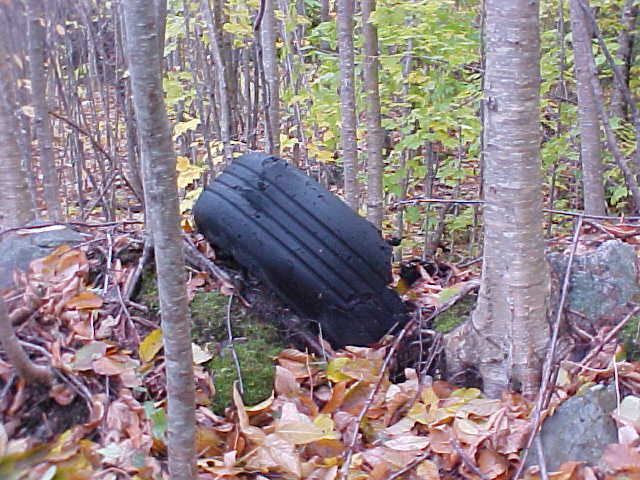 All large pieces, except two tires, have been removed. 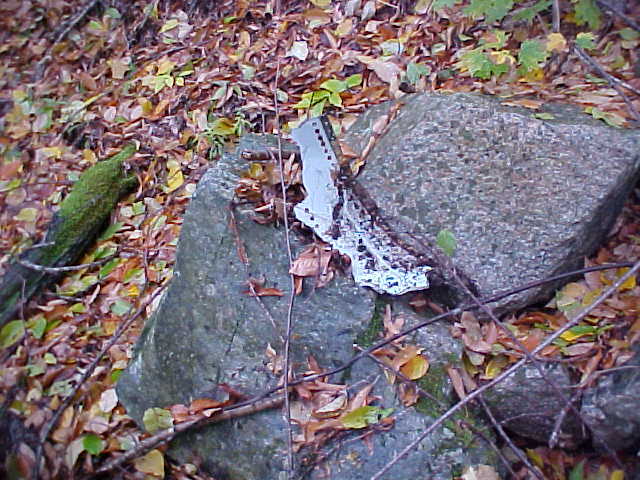 A steel stringer near the crater.